Certified Arborist Terence Sharkey #NJ-0976A. 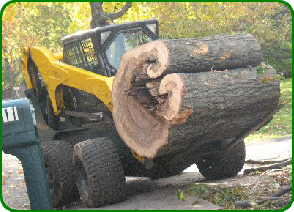 If you have been searching for a Tree Company, Tree Service, Tree Trimming, Tree Topping, Tree Cutter, Tree Pruning, Tree Specialist, Tree Maintenance, Tree Surgeon, Tree Surgery, Stump Removal Stump Grinding, Stump Cutting, Branch Trimming, Branch Cutting, Limb Removal or Limb Cutting what you are in need of is a Certified Arborist! Certified Arborists are experts in trees ranging from proper selection of a tree type for the area to nurturing, pruning, supporting, feeding and if necessary removal. To become certified an applicant must have completed the required number of years of field experience and passed rigorous comprehensive written examinations demonstrating the required level of competency in the science of trees such as tree requirements, planting, maintenance and removal. Certified Arborists must continue their education after certification acquiring continuing education credits from institutions of higher learning that meet or exceed the required quota. 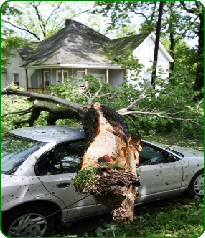 When the need, arises before or after the storm, call us for evaluation and an estimate. We will be there on time, finish on time, for the price we quoted, with non-invasive service and full clean up. 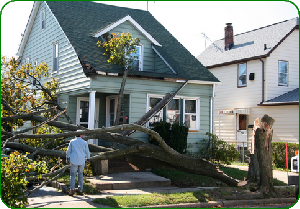 As Certified Arborists we have the knowledge and skills, combined with over 20 years of experience with specialized tools to get the job done and we are fully insured. We strive to do our job so well that it will look like your tree was never there and we weren’t either!!! 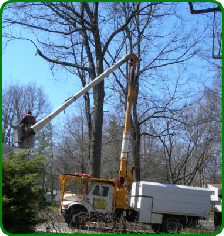 We have a 60 foot bucket truck to get up and around your tallest trees. We use vehicles with extra wide tires that can carry enormous weight without leaving track marks in your lawn and ground cover in work areas. Copyright © 2011 - 2019 Shark Tree Service All Rights Reserved.